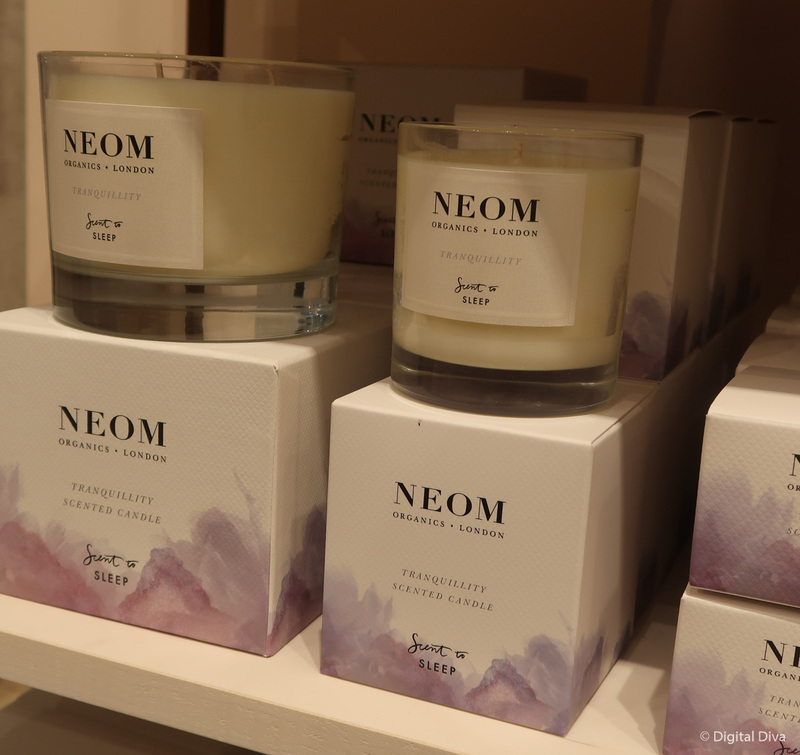 I was really pleased to hear that NEOM were opening a store in Victoria Gate in Leeds, as regular readers will know I’m a fan of the NEOM brand (I recently reviewed their Scent to Sleep range). 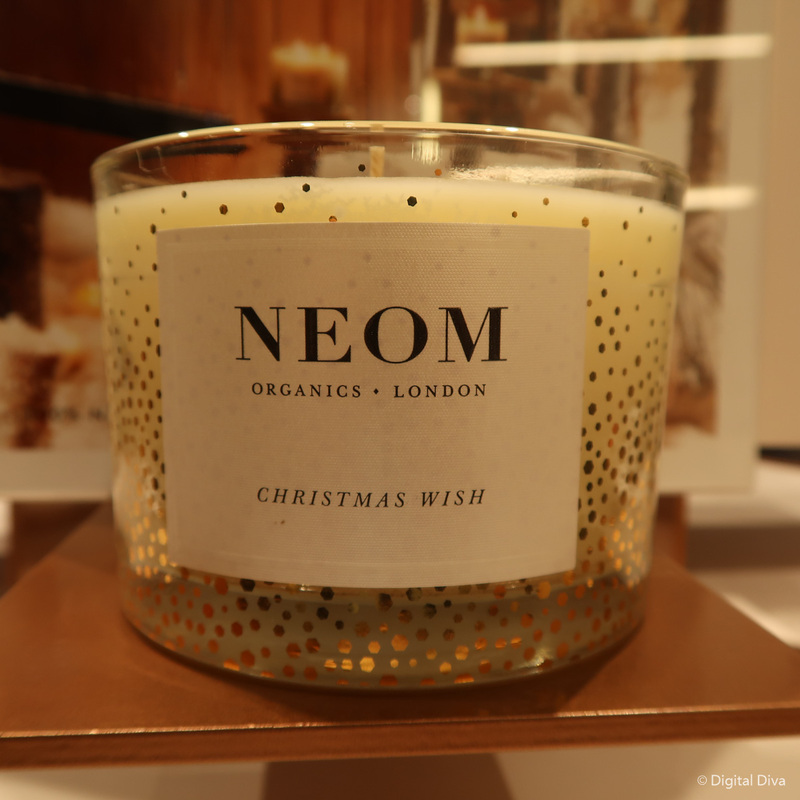 Most gals love a good candle, obvs, but I’ve always believed that aromatherapy really can help to relax you or change your mood. 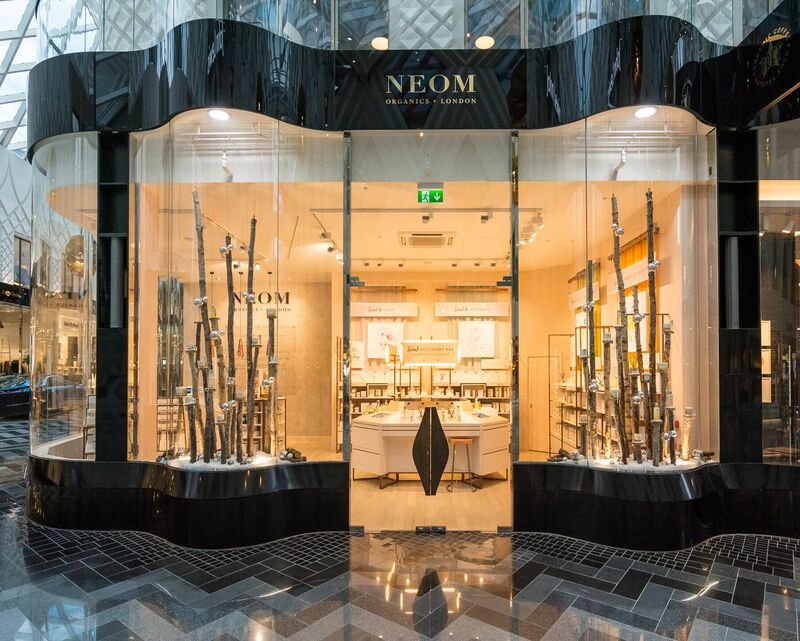 Neom was created in 2005 by Nicola Elliott. 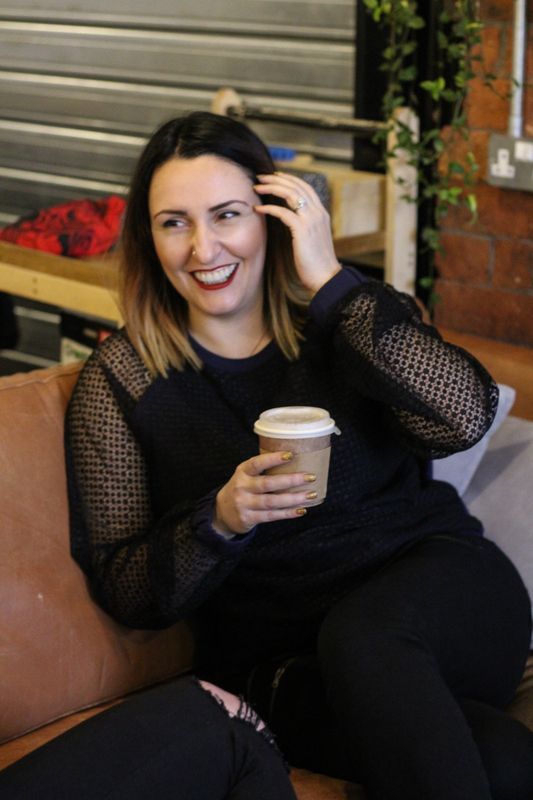 She’s a trained aromatherapist and ex-magazine journalist whose own well being, and that of her close friends and colleagues, was being affected by the hectic pace and stress of constant 60 hour weeks. I think quite a lot of us have been there…exhausted and burnt out, needing to relax, but not able to. 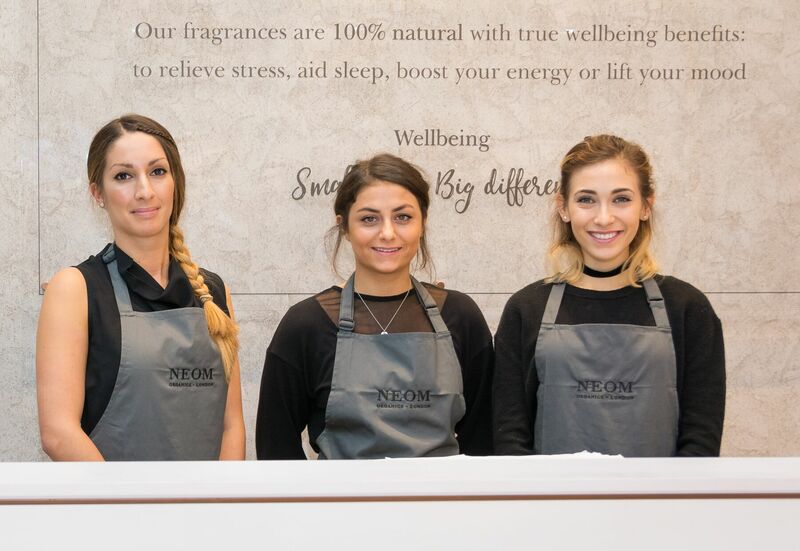 Nicola believes that pure essential oils can help address the wellbeing of women who were being affected by the pressures of modern day living (poor sleep, high stress and low energy and mood). 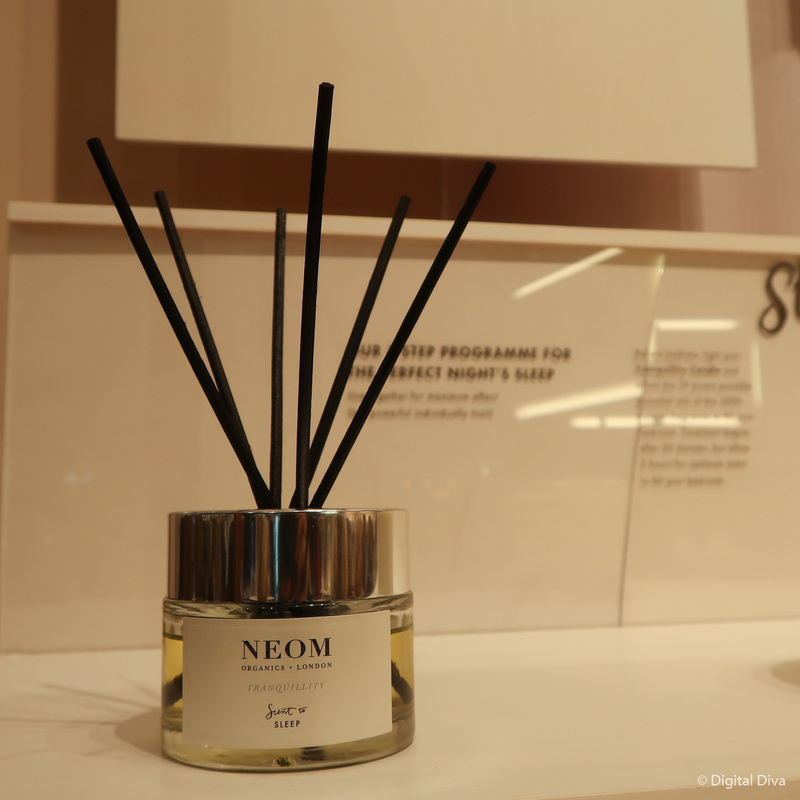 So she began making therapeutic tinctures for her friends and not long after NEOM’s signature Scent to Sleep fragrance, tranquillity, was created. 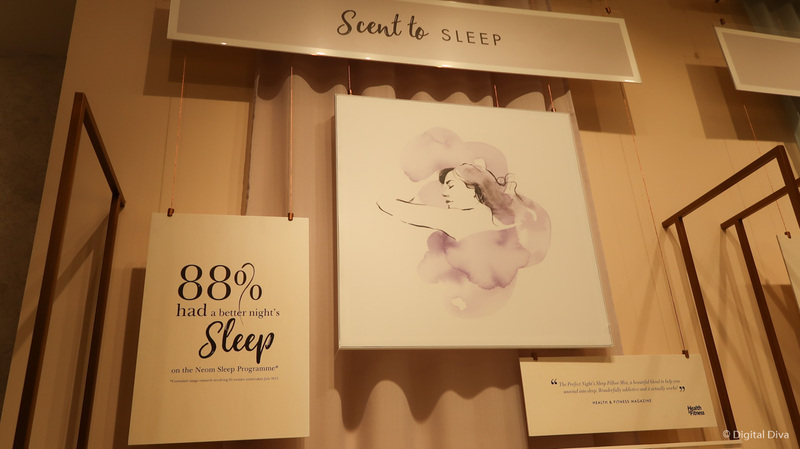 It blends 19 essential oils including lavender, basil and jasmine, all sourced for their most effective sleep inducing properties. 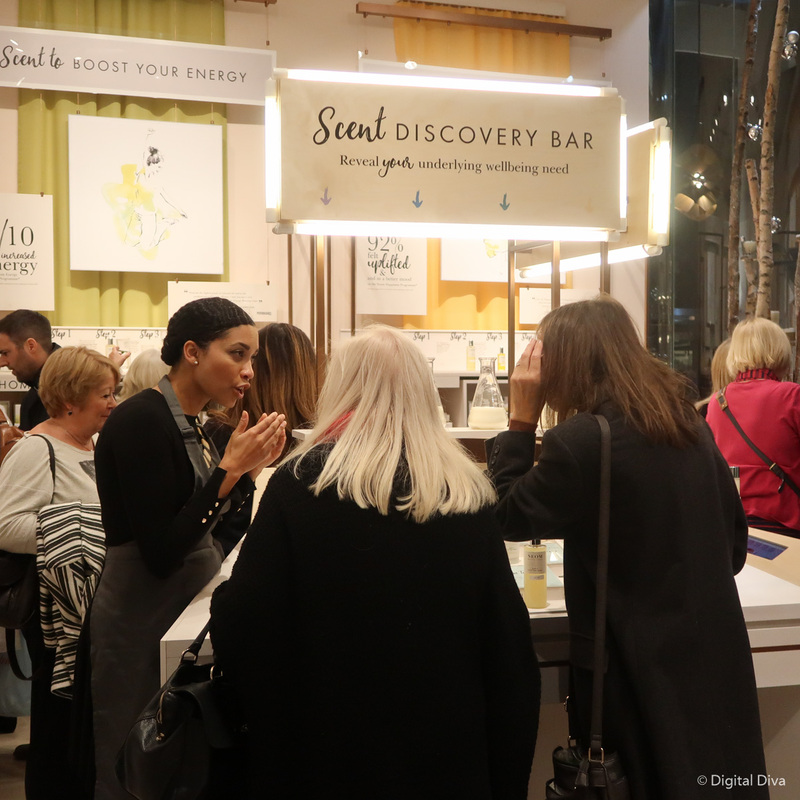 She uses 100% natural fragrances and the highest possible percentage of essential oils. 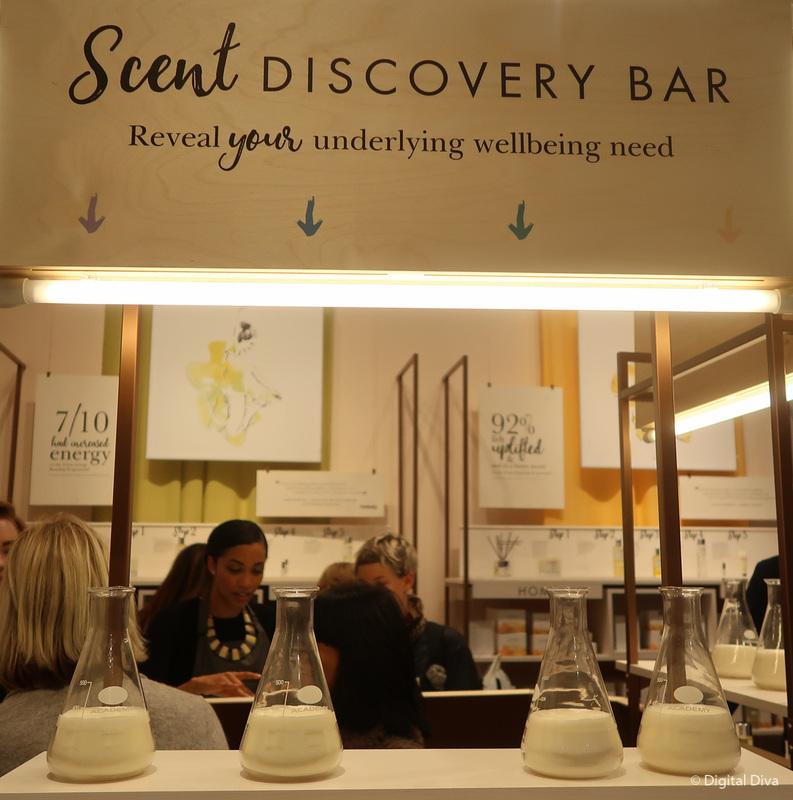 …you basically smell a few different scents to see which you like most. 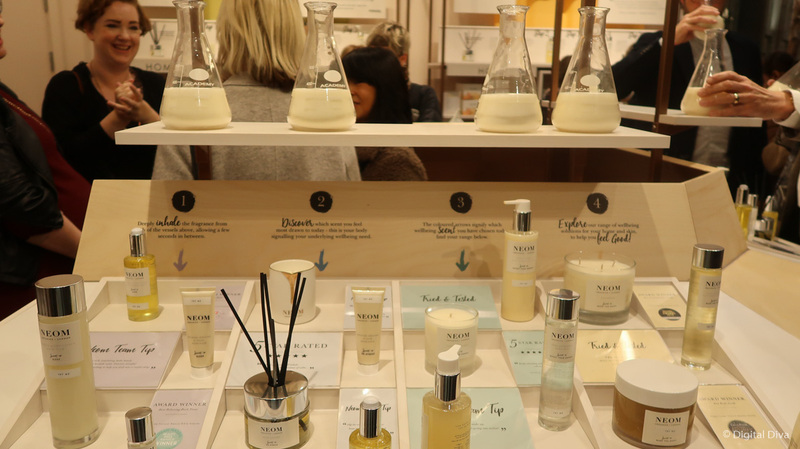 The idea is that the scent you like most is the one your body needs. I liked the ‘Scent to Sleep’ range best. Not surprising!! 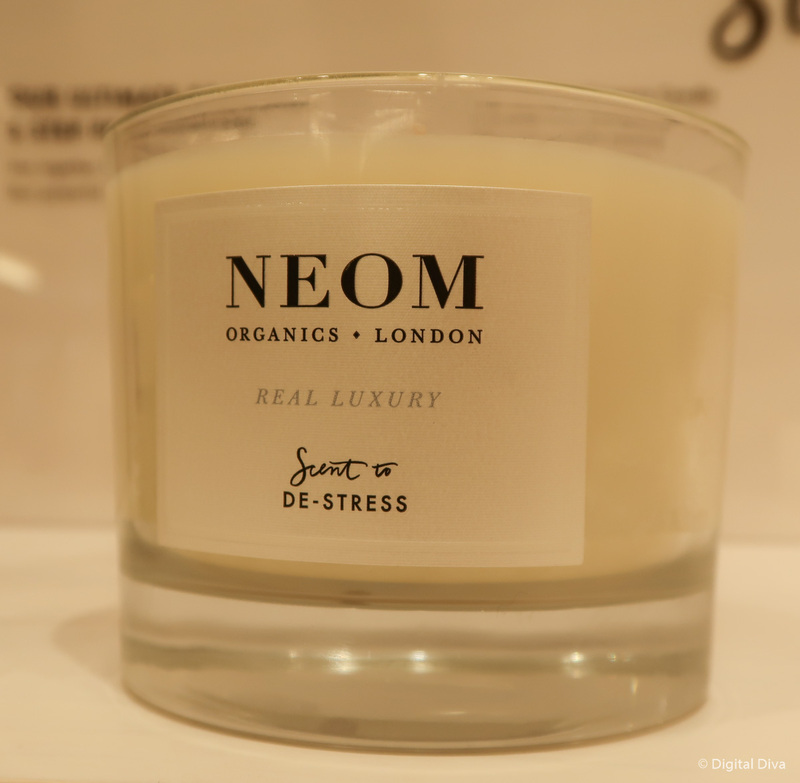 My second favourite seemed to be the ‘de-stress’ range, which I haven’t tried before. Loved the smell of that range. 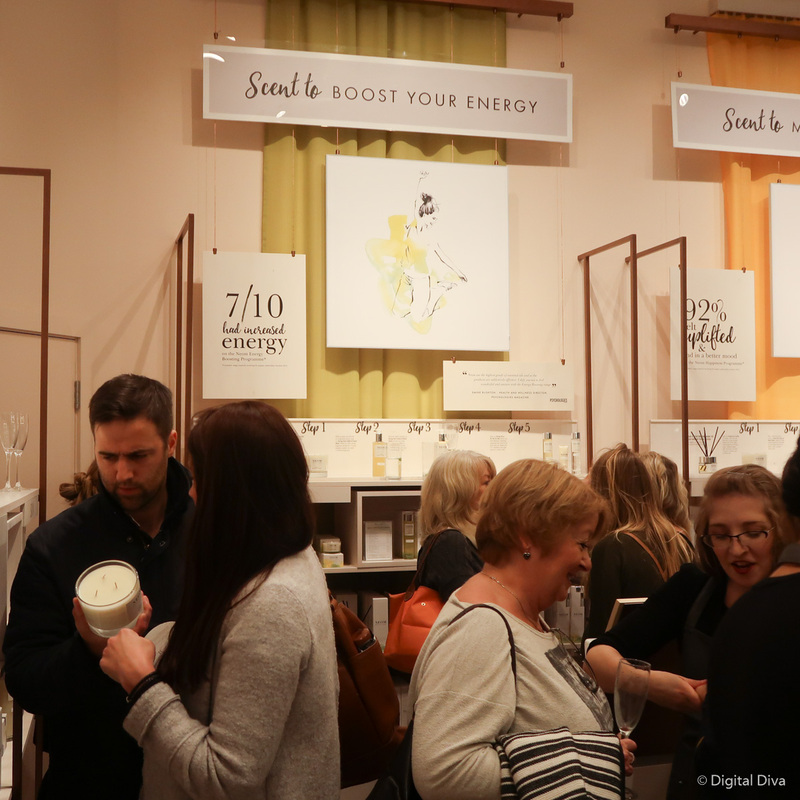 A few others there on the opening evening were matched to the ‘boost your energy’ range and the ‘uplifting’ range. 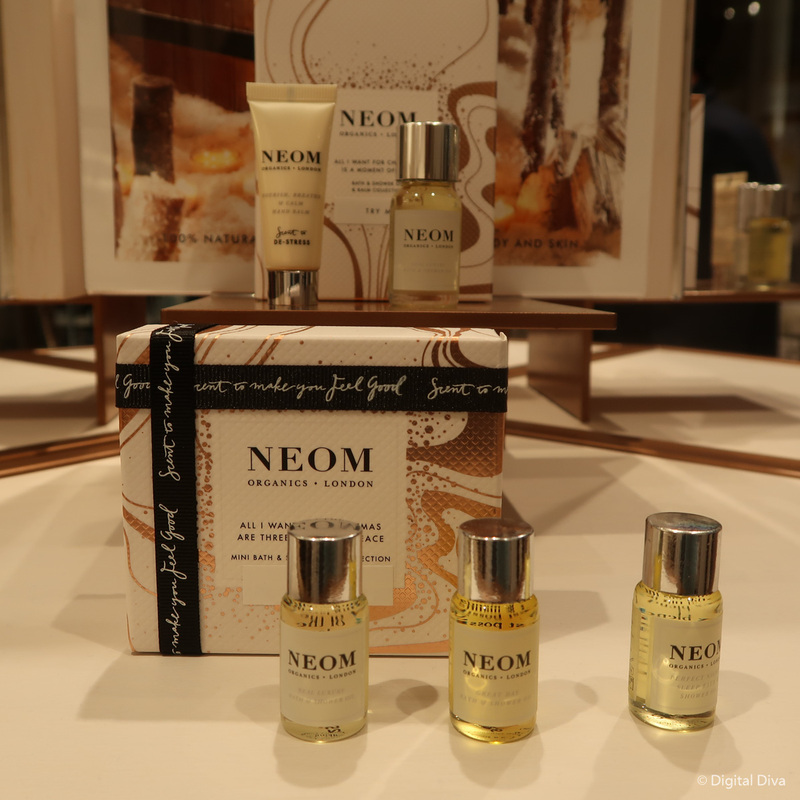 NEOM also have a lovely Christmas range for anyone looking for looking pressies for friends. They smelt lovely (obvs) and I do have my eye on a few of these for possible purchases. wow such a lovely store!